Touchless toilet paper dispensers are Americans with Disabilities Act (ADA) compliant, which make them a perfect fit for facilities who have tenants with disabilities. 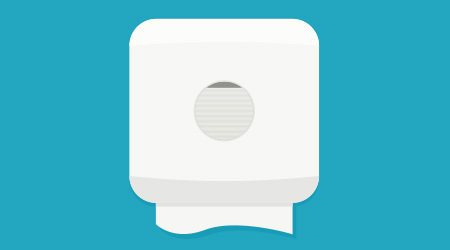 To convince facility executives of the advantages of touchless toilet paper dispensers, BSCs can encourage customers to imagine they are disabled, and attempt to retrieve toilet tissue from a traditional dispenser that has malfunctioned, especially one that has been placed underneath the support bar, says Totten. “Reach down and try to pull the tissue (which) is broken off about half way up the roll. You have to jimmy the roll down so you can have access to the sheet to pull it,” Totten says. Touchless toilet paper dispensers make grabbing tissue easier. Most manual touch-free dispensers are tissue accessible from the front rather than underneath. With automatic dispensers, there is no reaching underneath, just a wave of the hand.